In ancient Egypt women enjoyed a legal, social and sexual independence unrivalled by their Greek or Roman sisters, or in fact by most women until the late nineteenth century. This book presents a picture of daily life - marriage and the home, work and play, grooming and religion - viewed from a female perspective. In ancient Egypt women enjoyed a legal, social and sexual independence unrivalled by their Greek or Roman sisters, or in fact by most women until the late nineteenth century. They could own and trade in property, work outside the home, marry foreigners and live alone without the protection of a male guardian. Some of them even rose to rule Egypt as `female kings'. 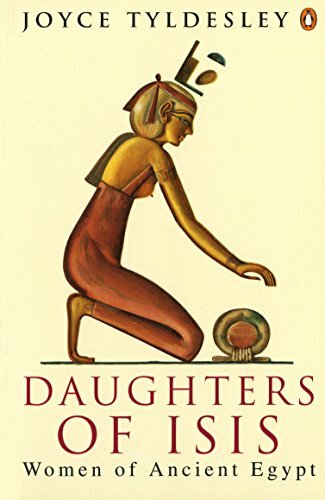 Joyce Tyldesley's vivid history of how women lived in ancient Egypt weaves a fascinating picture of daily life - marriage and the home, work and play, grooming and religion - viewed from a female perspective, in a work that is engaging, original and constantly surprising.